Greetings fellow music video lovers! It’s Andy Gesner and the staff from HIP Video Promo, here to introduce you to a young, camera-friendly band with tremendous promise. If you were there, you know it’s true: SXSW ’08 was bigger and better than the festival has ever been. And if you were in Austin this year, chances are, you’ve heard the name Sink to See. The Los Angeles quartet emerged from South by Southwest with the sort of buzz that any publicist would kill to manufacture for their clients. Their shows in Austin were a celebration: head-turning performances that felt like affirmations of the power of rock and roll. But although the members of Sink to See are young still carving out their place on the American musical landscape, theirs is no overnight success-story: they’ve been honing their sound for years, touring steadily, and opening shows for some of the biggest bands in the indie rock underground. They’ve shared bills with The Breeders, ImaRobot, Black Rebel Motorcycle Club, and other like-minded rockers, and have developed a stage set that is at once explosive, meditative, and inspiring. The band’s self-titled debut puts all of those qualities on bold display. 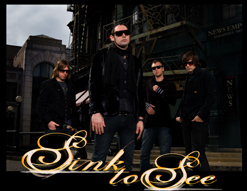 The independently-released Sink to See, a collection of sharply-performed and bracing rock songs, has been compared by critics to Radiohead, The Killers, and Sugarcult. Frontman Jason Napier’s voice roars out of the speakers like a thunderstorm; Donie West’s guitar scalds, snarls and stings; drummer Tariq Mills and bassist Shawn Bathe are rock-solid, energetic, and poised. The licensing execs at MTV are already notable appreciators of the band’s cinematic sound: they’ve placed songs from Sink to See in episodes of Newport Harbor and The Hills. Sink to See have become favorites of adventurous Cali radio deejays, too, winning heavy airtime on L.A.’s influential KROQ. And they’ve accomplished all of this on their own – they’re true indies, handling everything from production to booking to merchandise on their own. “Speakers”, the lead single, is a statement of faith in the transcendent power of sound. “You feel the speakers pumping”, sings Napier – and right on cue, a synthesizer riff rises, snake-like, from the mix to join the fuzzed-out guitar and pounding drums. The song promises an escape into the lush soundscape; its empathetic video does, too. 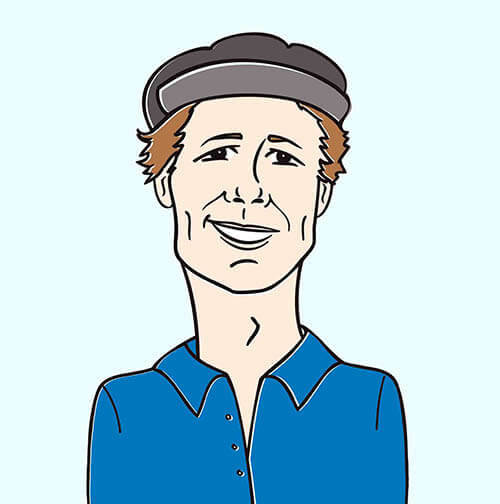 Directed by Tanya “Lynx” Brown – another up-and-coming Los Angeles artist – the “Speakers” clip wraps a narrative of rock and roll initiation around footage of Sink To See in performance. The video opens with an establishing shot of a typical suburban house. Sounds of a domestic squabble are heard from inside; a mother is telling her grown son to get out of her home and to take his rock and roll records with him. But there’s another son living here, too – a kid, maybe seven or eight years old. On his way out the door, the elder brother grabs a forbidden record, brings it to his younger sibling, and whispers “this will change your life”. As soon as the mother has left the room, the little boy takes the record from its cache, slips it onto a turntable, and dons headphones. His eyes widen, the room turns from black and white to full color, and the picture of Sink to See hanging on the wall comes to vivid life, and begins to play. It is a terrific pleasure for us to have the opportunity to work together with Carrie Hughes and everyone in the Sink To See camp to bring you this fiery new video. They’ve been kind enough to hook us up with plenty of copies of Sink To See for your on-air giveaway needs. The band is also constantly on the road, so if you’d like to catch up with them for a video interview when they are in your market, please let us know! If you need more info, call Andy Gesner at 732-613-1779 or e-mail us at info@hipvideopromo.com.